New industry proposal would save billions and create thousands of jobs | West Coast Solar, Inc.
Media coverage of Northern California solar energy tends to focus on the benefits of solar electric systems and the value they provide in terms of lower electricity bills. 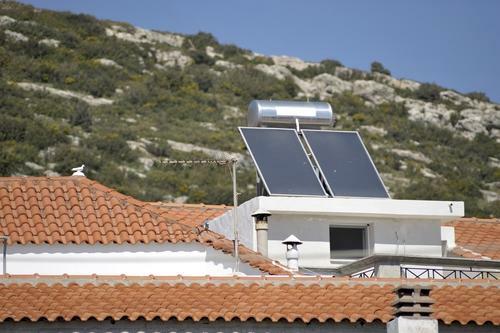 One area that you may not know as much about is solar heating and cooling (SHC) systems, particularly when it comes to water heating systems that rely on sunlight instead of natural gas. A new plan from the Solar Energy Industries Association (SEIA) lays out a plan for wider spread integration of SHC throughout the country that would save the economy $61 billion while creating over 50,000 jobs. The report, produced by BEAM Engineering at the request of SEIA, calls for the installation of 100 million new SHC systems nationwide. The goal is to bring the United States a cumulative SHC capacity from 9 gigawatts (GW) to 300 gigawatts (GW) by 2050. It’s a lofty goal, but one that could have monumental benefits for the American economy and job landscape. Homeowners and businesses who are looking to save money can do so by converting to solar water heaters and relying on sunlight for all their hot water needs. This can help you save thousands of dollars over the life of the system, while helping the environment and reducing your dependence on fossil fuels. For more information, contact West Coast Solar today.